Since the release of Echo Arena in 2017, followed by Echo Combat in 2018, we’ve collectively as a Studio explored and tested the boundaries of VR to create immersive and engaging environments. As a result, players, called Echo Units in-game, can stun, shoot, and boost their way to objectives and goals to achieve victory in zero-g. However, the focus of many brainstorms and game jams over the past few years has been balancing between a fun, casual experience and a highly skilled, competitive one for the growing world of VR and VR esports. Our goal has always been to make VR games appealing and fun for a wide audience of both veteran VR players and those who are completely new to VR. 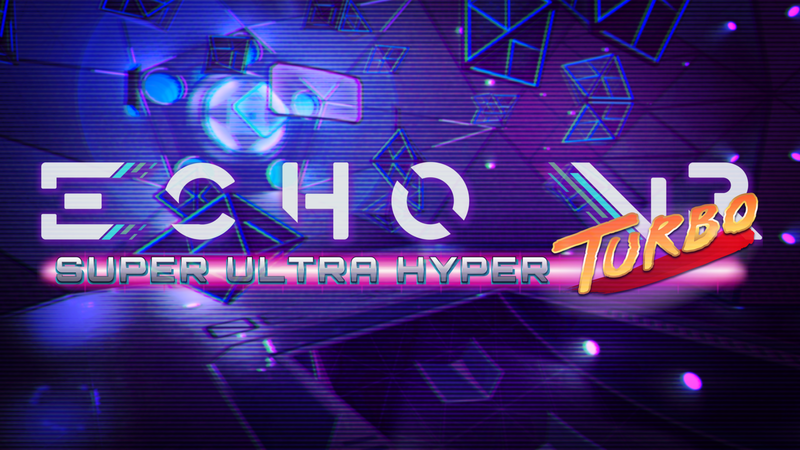 Through the lessons we’ve learned while developing Lone Echo and Echo VR over the last few years, we believe we’ve finally tapped into the future of entertainment and team sports with the Super Ultra Hyper Turbo Edition of Echo VR. In the Super Ultra Hyper Turbo Edition of Echo VR- players in teams of four must fight their way to the other side of the Arena and score goals while avoiding oncoming fire. More importantly, the Super Ultra Hyper Turbo Edition finally offers a balance between casual players and competitive players. The inclusion of guns and gear allows players that have difficulty with, or are unfamiliar with, the movement model the opportunity to assist in defensive plays from afar in casual games. In competitive environments, gear make executing plays and passes more difficult, therefore requiring masterfully executed team maneuvers. The objective of the game is still the same: obtain the disc, outmaneuver the opposing team, and score goals. The ultimate celebration awaits! Players interested in joining the Super Ultra Hyper Turbo Edition of Echo VR simply have to queue up for a match in the Echo VR Lobby. Tag us in your #SuperUltraHyperTurbo moment on Twitter, Facebook, and Instagram! Based in Irvine, CA, Ready At Dawn® was founded in 2003 by senior members of Naughty Dog® and Blizzard Entertainment®, and since then has remained a proudly independent team of developers.. They are currently creating games for both AAA console and virtual reality audiences, and in the past we’ve worked on critically-acclaimed titles such as Daxter® (PSP), God of War: Chains of Olympus® (PSP), God of War: Ghost of Sparta® (PSP), Okami® (Wii port), The Order: 1886® (PS4), Deformers® (PC, PS4, XB1), and Lone Echo® and Echo VR® (Oculus Rift).